October 2, 2011 there are many fun things to do in Savannah GA a few of which are a Picnic in the Park on Forsyth and also the 2nd annual BBQ, Brews and Bluegrass at the Roundhouse Museum. Picnic in the Park is a beloved Savannah tradition that takes place in Forsyth Park on Sunday October 2, 2011 beginning at 3pm. The event will feature an evening filled with live music and family picnics big and small. Entertainment this year will be provided by Eddie Wilson and The Strings of the South. 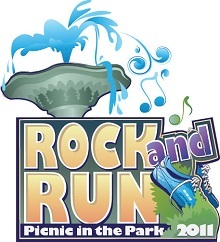 This years picnic themes for the contest will be 'Greenest Picnic' and 'Rock & Run' in celebration of the runners, volunteers and upcoming event, Savannah Rock n Roll Marathon, promises to put Savannah on the running map. Come to the picnic dress as your favorite rock star or athlete and enter the WSAV Look-a-like Contest! Also there will be the 2nd Annual BBQ, Brews and Bluegrass festival on Sunday October 2, 2011 from 3pm -7pm. This event is The Next Generation's Annual Fundraiser for the Children's Hospital at Memorial University Medical Center. Last year this event raised $25,000 for the Children's Hospital and the look forward to another great year. The festival will be at The Roundhouse Railroad Museum at 303 MLK Jr Blvd. and will feature music from The Jimmy Wolling Bluegrass Band and also The Marshall Brothers. There are going to be kids activities such as FREE train rides, face painting, pumpkin patch, Arts & Crafts and much more. Food will be available to purchase from the Smokin' Pig BBQ, Whistle Stop Cafe and Wright Square Cafe. A Cash Bar will be available as will free Coca-Cola products. Tickets are $20 per person (kids 12 and under are FREE) and may be purchased by clicking here. As you can see there are many wonderful and family fun things to do in Savannah GA. Book your overnight lodging with one of our many fine Savannah Inns.